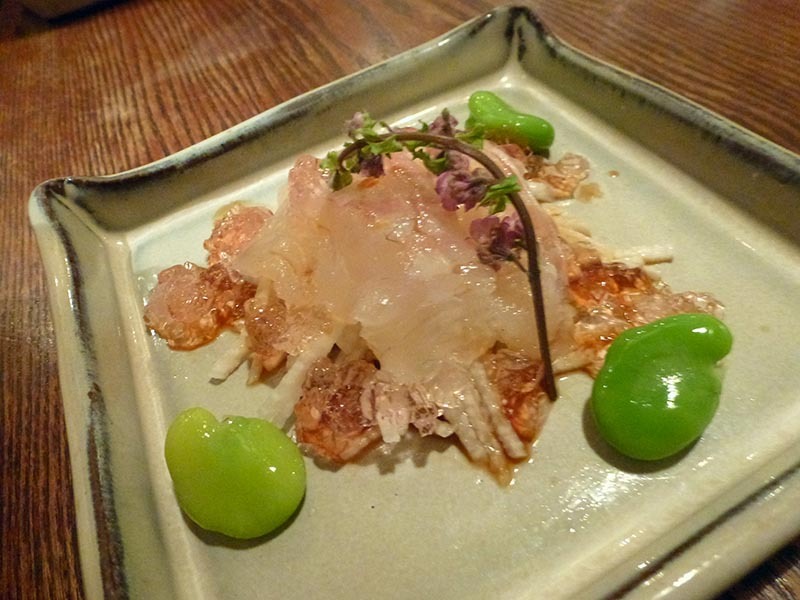 Omen is one of my favourite restaurants in Kyoto, and that’s really a strong recommendation as there are a LOT of amazing restaurants in Kyoto. 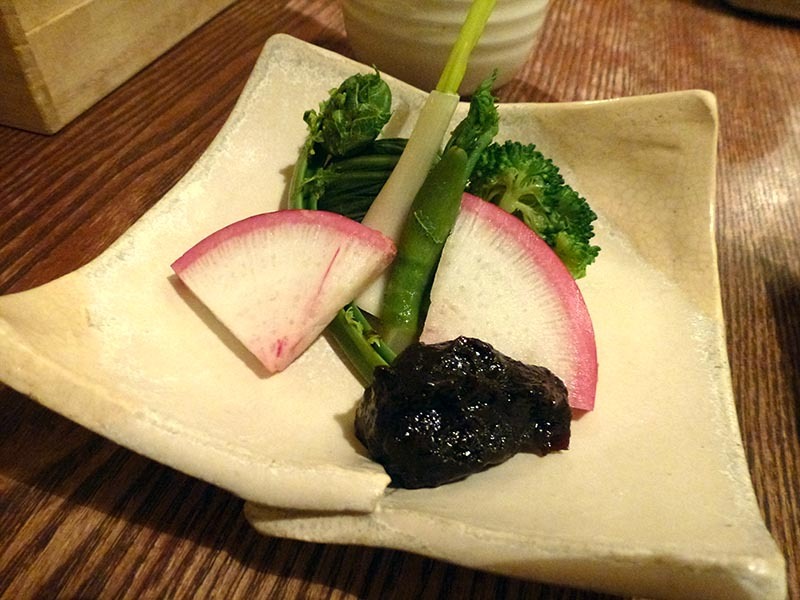 I love Japanese food and we’ve found some many great options across Kyoto but it’s the variety and seasonal tasting menus at Omen make it special and at a very reasonable price. The fact that we have been back several times when there are 100’s of restaurants to choose from and we love to try somewhere new is a great recommendation in itself. The name Omen is made up of the honorific ‘O’ and ‘men’ meaning noodle. So pretty much it means respect to the noodle which really does sum up what they do so well. 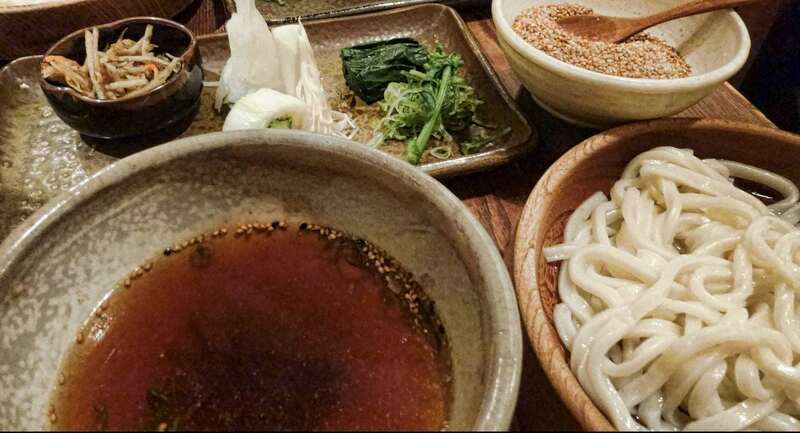 The restaurant specialises in thick udon noodle dishes, which are always cooked perfectly with just the right bite to the noodle and the flavours balanced just right. You can have it with a hot or cold broth and there’s a good selection of side dishes too, the tempura vegetables and tofu were very good and I regret that I didn’t try the eel which I was told was also good. Here’s an example of the seasonal spring menu I ordered, it was a big meal but delicious and I would definitely order the seasonal specialties again, the menu was just under Y3000. 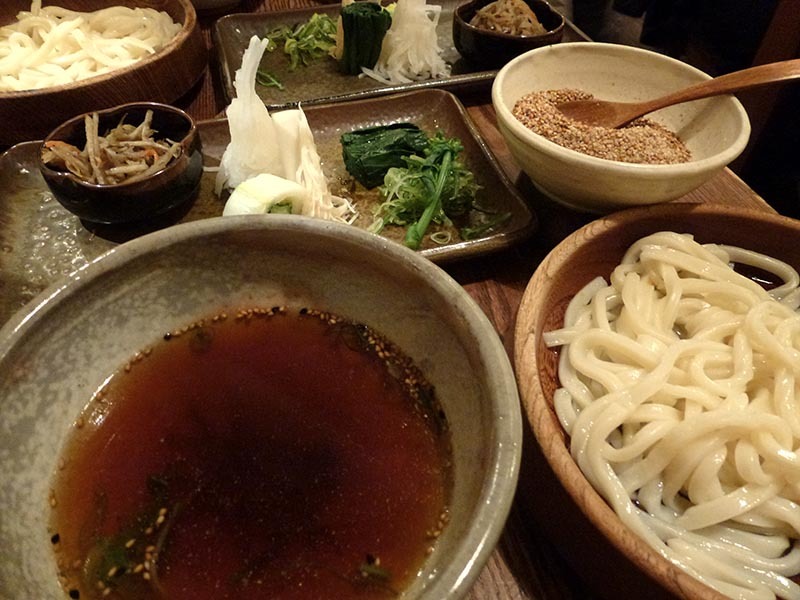 If you aren’t quite so hungry then a simple hot or cold udon is always very good too. There are two Omen restaurants I know of, one in northern Higashiyama near the Silver Pavilion Temple and the other is on the Shijo-Dori shopping street. We generally go to Shijo-Dori because it’s central and more convenient to where we stay so it’s easier to go there for an evening meal. There’s some seating downstairs and more upstairs but overall it’s still quite small, it has an English menu available but has a mostly Japanese clientele which I take to be a good sign. As with most popular restaurants in Japan we have had to wait for a table to be free but it’s not been very long and again this is usually a good sign, I’d rather wait for a popular restaurant than go somewhere nearby with no queue. If you stay on the main shopping street and walk away from the bridge past Pontocho to the department store end of the Shijo it’s on your right. As with many restaurants, it’s not the easiest to describe or find from directions, it also doesn’t have a big sign saying Omen to make it easier. 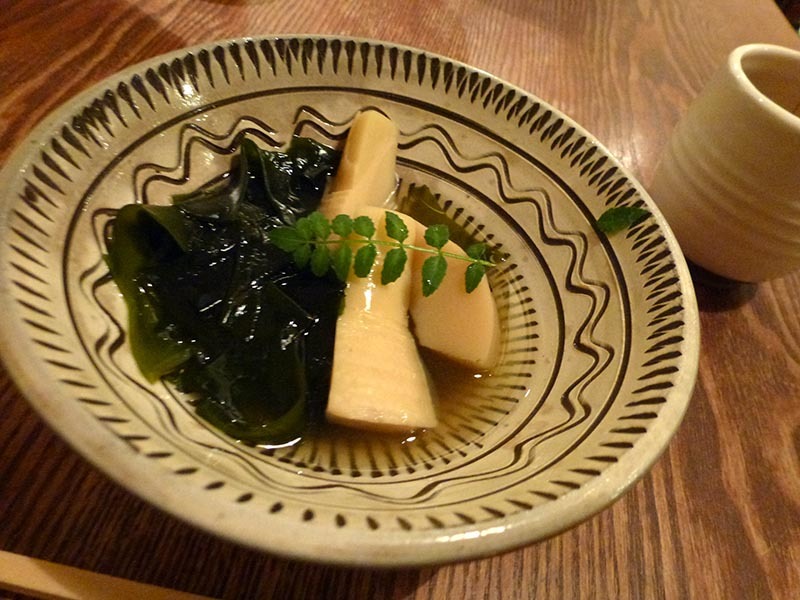 Thinking back I really should take GPS coordinates for my favourite restaurants in Japan so I can find them again. I might do that next time or at least take a photo in daylight from in front. In the meantime, the best I can do is a map to the original Omen restaurant, the one by the Silver Pavilion, which is just as good and some say even better. Do you have favourite restaurants that aren’t in the country where you live? I guess it’s not convenient but does make you look forward to that next visit even more. I have lots of favourite restaurants in Vietnam! 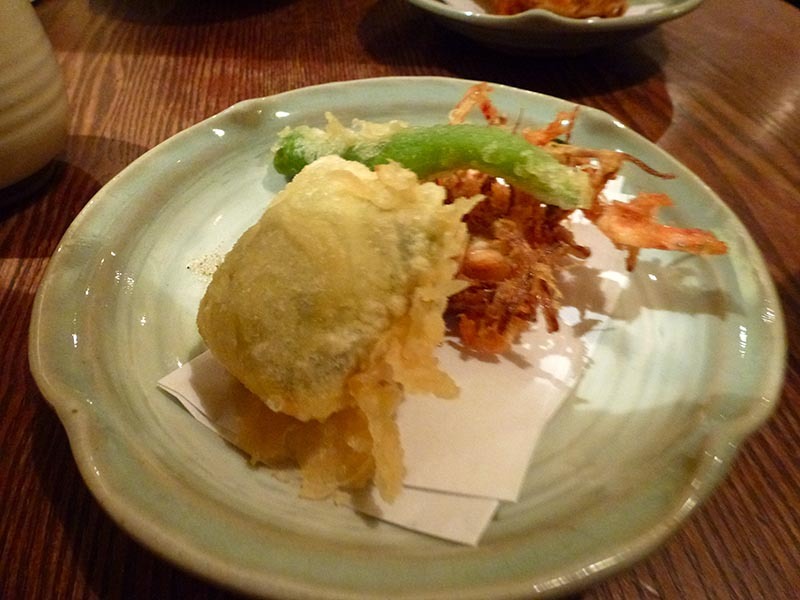 Just thinking about them makes my mouth water… And our stand out meal from three weeks in the US earlier this year was at Morimoto next to the Chelsea Markets in New York City. Food is definitely a BIG part of our travel experiences!